Life at Grace Field House has been good for Emma and her fellow orphans. While the daily studying and exams they have to take are tough, their loving caretaker provides them with delicious foods and plenty of playtime. 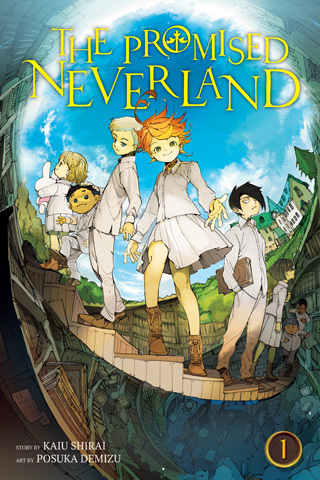 But perhaps not everything is as it seems… Emma, Norman and Ray are the brightest kids at the Grace Field House orphanage. And under the care of the woman they refer to as “Mom,” all the kids have enjoyed a comfortable life. Good food, clean clothes and the perfect environment to learn—what more could an orphan ask for? One day, though, Emma and Norman uncover the dark truth of the outside world they are forbidden from seeing.